Greg Costikyan’s name comes up a lot when it comes to indie game development. Apparently, the man has worked on a few games and written some fiction in his life, and somehow he has become a major voice on independent games. He seems to believe that indie games can and will crush largescale publishers and end their greedy and bullying practices. To help do this, he has created Manifesto Games, a place where indie developers and fans can join together to buy, discuss and promote the best in indie gaming. I have a lot of respect for Costikyan’s ideal, but every time I read anything written by him, I can’t help but feel that he’s batshit insane. Maybe that is too strong of a phrase, but he certainly reminds me of college students who worship indie anything like a religion and still think that communism can actually work (after all, his site is called Manifesto, and its splashed all over with red). The heart is in the right place, but the mind is way out there. 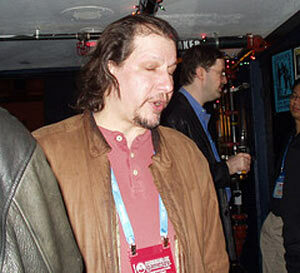 Greg after a little too much “opium for the masses”? And by “opium of the masses,” I mean opium. But looks can be deceiving, so I decided it was time to take the plunge and explore Manifesto games, and hell, I’d even buy something from them. I’m not going to go into nitpicky issues about web design or whatnot that has nothing to do with the games. The important problems I see with Manifesto are hypocrisy and unprofessionalism. Here is a site that, according to their mission statement, is “defying the big publishers’ mediocrity and hype.” So why do they hype their game beyond any reasonable limits? Every description reads like a Gamefaqs review. Just look at the first paragraph from Dodge that Anvil! and tell me if it sounds like it was written by professional copy writers. Or how about this one that compares a game called “Alien Shooter” to Doom and Diablo. Are these games bad? Probably not, but if you’re trying to beat the big publishers, don’t try to act like them, only to screw it up and sound like excited children. When looking at the list of games Manifesto offers, I noticed one title of note: greedy and manipulative company. On the other hand, I was intrigued to see Disciples II Gold for sale. 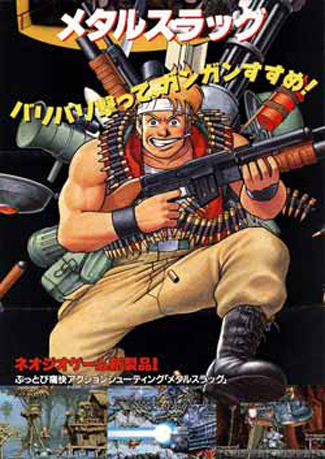 The same game is also available on Gametap, a service which Costikyan does not appear to like. At first glance, it seems they’re trying to stick it to the man by offering the game for actual purchase rather than rental. But if this FAQ is any indication, some Manifesto games can only be installed three times per purchase, and I wouldn’t be surprised if Disciples is one of them. In that case, Manifesto is only offering a bit more freedom than Gametap, but still restricting its customers with DRM’ed files. At least with Gametap or a service like Steam, I can log in and play my games wherever I want, and with Steam I can even back them up. Explain to me how Manifesto is doing any gamer a great service here. David L. Gilbert has taken publically [sic] available tools that in other hands are used to create uninteresting amateur drivel, and used them to create moving game experiences that, while highly retro in graphics and approach, aspire to the status of art. Rabbinical is a funny word. So wait a minute. Manifesto Games wants to support independent gaming development, but really they only promote the ones they like, since everyone else is just “amateur drivel.” Folks, I can’t think of a single better way to persuade people to join your cause. Gilbert seems like a real great guy who was incredibly friendly on his forum, and who just wants to make some good games, but what was Manifesto thinking with that description? So let’s get to The Shivah. Buying the game was quick and easy, and I was provided with an installer free of copy protection. When you create an account, they send a warm welcome email, and even give you a blog to post your own thoughts about the community. I may have issues with how Manifesto handles indie games, but it is very nice to see that they take care of those who choose to join it in some way. 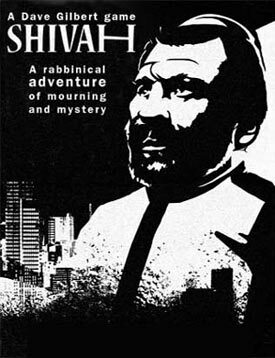 The Shivah is a simple adventure made with Adventure Game Studio, but the real twist is the setting; you play as a New York City Rabbi who is losing his faith, and then gets himself caught up in a murder mystery. This is the only game I know of that lets you play as a rabbi, and actually explores and discusses the trials of being a Jew in the modern world. I applaud Gilbert for this concept, not because it is simply unique, but because you can tell he is a devout Jew who wanted to explore his faith. The Shivah is personal, instead of being made for shock value. The game looks like something on the SCUMM engine, but it also features orchestrated music and full voice acting which is usually damn good. This is how indie truly works – taking the tools you have and doing the best you can with them, using a lot of love and care to create something that looks and sounds quite nice in the end. The gameplay, on the other hand, bothers me. It’s good, at least for the two or three hours the game lasts. It’s just a bit counter to what I expected. Here we have a cranky, techno-illiterate rabbi, and yet the huge majority of the puzzles involve him doing computer searches and even hacking into other people’s accounts. My issue with this is twofold. First, it seems contrary to the character. Second, despite what Manifesto might think, this isn’t art (though Gilbert wasn’t the one who claimed it was). It’s not that a game can’t have a one track mind when it comes to its gameplay; just look at Fumito Ueda’s works. But at least in that case there’s something emotional evoked from the gameplay. The same can’t be said of the rabbi’s computer shenanigans. There’s also a scene at the end that’s inspired by the “insult sword-fighting” concept from the Monkey Island games, and while it might throw you off at first, it is quite fun to see in action. The Shivah is a fine achievement. It’s not long, but it’s cheap and entertaining. It’s not hugely innovative, but indie doesn’t always have to be. It can also be about taking tried and true concepts and doing them well. I congratulate Wadjet Eye for making something with real craft that is worth our attention. As for Manifesto, don’t leave the classroom quite yet. I’m glad you’re supporting something like The Shivah. But let’s get one thing straight – this is not art. And while you may technically say it’s just “aspiring” to be art, that’s not always a good thing. In attempting to be artsy, The Shivah often becomes artsy-fartsy, acting a little too pretentiously when presenting some of its themes (including a text intro that has to be skipped through every time you start the game). The tried and true gameplay is good, but it’s not necessarily better than those that have come before it. Again, I don’t blame the developers; they’ve made something that they should be proud of. It’s just that if Manifesto wants me to take them seriously, they need to calm down some. Tell me you’ve got some solid indie games to purchase. You can even tell me they might be as good as a regular retail product. But don’t preach to the heavens that they’re leaps and bounds better than mass market products, because most of them won’t be. Don’t boast your superior approach to design and then spit on the amateurs at the bottom of the ladder because they haven’t quite made it. Start acting like professionals, instead of really enthusiastic fans. Right now, the state of Manifesto Games reminds of me of the CNN article that actually pointed me to The Shivah; a few paragraphs that amounted to “Oh my gosh, Jews in games!” without discussing its quality or any other aspects. Likewise, I’m getting a lot of hot air from Costikyan and his movement, a lot of screaming about changing the industry with little apparent results. I hope one day I’m proven wrong, but I get the bad feeling that ultimately the Manifesto movement will be as useful as communism itself. Though Manifesto may have fewer Gulags.